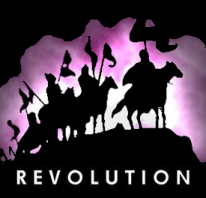 Revolution Software is an adventure game developer from the United Kingdom. Their first game, Lure of the Temptress, used an engine called the Virtual Theatre engine which was revolutionary in that it allowed non-player characters to roam around the village doing their own business, which added an element of realism. The system was perfected in the next games, the apocalyptic drama-comedy, Beneath a Steel Sky, followed by Broken Sword and Broken Sword II. Broken Sword: The Sleeping Dragon was a 3D installment that was direct control and incorporated elements from action-adventure games such as box-pushing puzzles. After this installment, Revolution cut back their internal development and outsourced the next two Broken Sword games. Revolution has now returned to game development with the release of the directors cut versions of Broken Sword I and Beneath a Steel Sky. In 2012, a successful Kickstarter allowed them to develop a new installment in their popular Broken Sword series. Journey back to the dystopian future of Beneath a Steel Sky in this sequel to the cult classic. George and Nico investigate a theft of a mysterious painting from a Paris gallery and uncover a conspiracy. The director's cut with new close-up art. Rescue your girlfriend and uncover the secrets behind the upcoming eclipse. The remastered edition with new art. Reveal a government cover-up, secrets to your past, and try to escape the city. The director's cut with new art and gameplay. Investigate murder, uncover a conspiracy and clear your name. Join Sumo Digital and Revolution on a quest for treasure, while avoiding men following a woman named Anna-Maria. Revolution made the Amiga version. Alexander goes to the Green Isles in search of Princess Cassima. Escape prison, rid the kingdom from invaders, and defeat the cruel temptress.